Softub Spas are Canadian-Made, Portable & Energy Efficient! They're the SMART SPA! We have worked with thousands of clients with different areas of interest and concern, and we have found that warm water, massage and buoyancy offer many healing and rejuvenating benefits. We are very excited about the Softub Therapy Spas, and so are our clients. 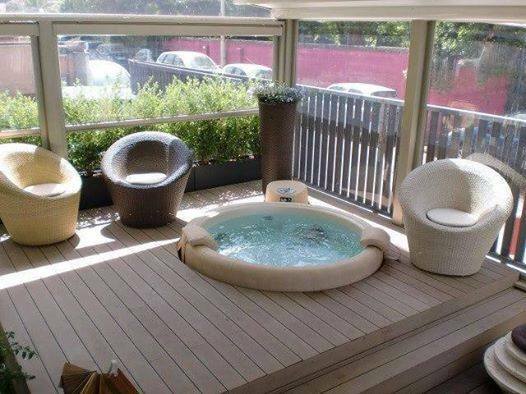 We have received many amazing testimonials from our clients who use the Softub! Feel free to come to one of our stores to see all three Softub models on display, to compare the differences and to sit in one for yourself. 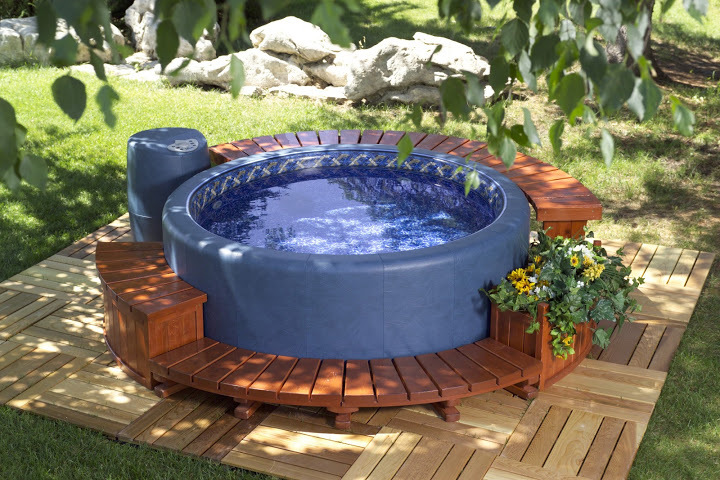 You will be pleasantly surprised by the level of comfort, durability and simplicity offered by the Softub. We strongly believe in the healing benefits of hydrotherapy to compliment your exercise regime, and enhance your level of health and fitness. We feel very fortunate to be part of the Softub story. The Softub offers many bonus features, and in fact, there are 10 great reasons why the Softub is the smart person's hot tub. 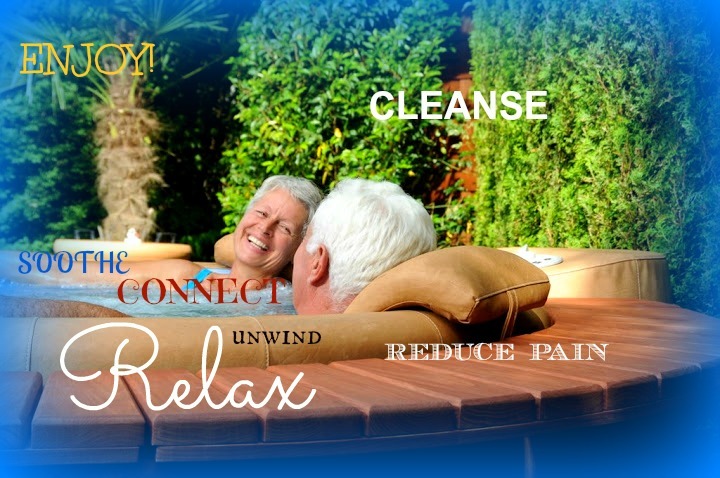 We know that the Softub Therapy Spa will make a big difference in how your body works and feels. WHAT IS A M.E.D SPA? The M.E.D. Spa is designed for Massage, Exercise, and Decompression, and that’s why it is called a M.E.D. Spa. The SOFTUB is used all over the world in 35 countries as the therapy spa of choice for Massage, Exercise and Decompression. The SOFTUB is a patented product and there is no other product like it on the market. The SOFTUB is all about maintaining a healthy, comfortable, and youthful body through what is called, “Functional Movement”. Hot, deep water with NO OBSTRUCTIONS is the only way to promote “Functional Movement”. You also need a soft, comfortable spa with PADDED sides and floor. Only the patented SOFTUB Therapy Spa offers all these unique features. The M.E.D Spa is also a fitness and exercise product, because it promotes movement. The buoyancy of the hot, deep water, and the wide stream percussion massage is always lifting and moving the body. In order to balance our body and control our position, we are constantly using our stabilizer muscles, so we get a good workout without even thinking about it! This is our customer's top pick! The Softub 300 Prestige features double stacked, dual action therapy jets. From a therapy standpoint, this is the most beneficial, user-friendly, portable, economical and affordable therapy spa on the market. You won't find another therapy spa of this class, that holds 220 gallons of water and weighs only 67 pounds when empty. 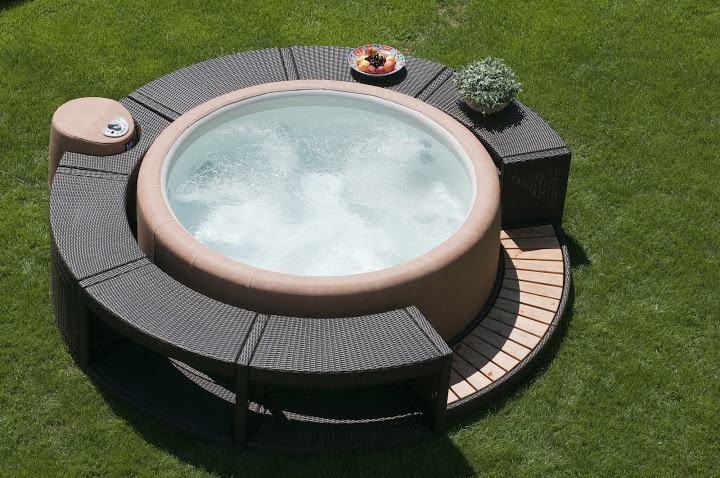 This is only possible because of Softub's ingenious material called Polybond. This is the ideal therapy spa for people with very limited space. If there is primarily one user and you just cannot manage with anything larger, the 140 gives you one of the best Hydrotherapy treatments you will ever experience.